This press release is produced by the Rethink Plastic Alliance, the European Policy and was originally posted on the Zero Waste Europe website. You can access the original press release here. Rethink Plastic is an alliance of leading European NGOs with one common aim: a future that is free from plastic pollution. We represent thousands of active groups, supporters and citizens in every EU Member State, and we bring together policy and technical expertise from a variety of relevant fields. Members of Rethink Plastic are: Client Earth, ECOS, EEB, the Environmental Investigation Agency, Friends of the Earth Europe, Seas at Risk, Surfrider Foundation Europe and Zero Waste Europe. We are part of the global Break Free From Plastic movement, consisting of over 1000 NGOs and millions of citizens worldwide. The introduction of Extended Producer Responsibility schemes for waste fishing gear, cigarette butts, beverage containers including lids and caps, food containers, lightweight plastic bags and wet wipes amongst others. Wednesday, May 23, 2018–This month, the American Chemistry Council, representing the plastic producers most responsible for the plastic pollution crisis–Dow, Chevron Phillips Chemical Company LP, ExxonMobil Chemical Company, Procter & Gamble, Chemicals Division, among others– has pledged to recycle or “recover” 100% of plastic packaging by 2040. First and foremost, we cannot wait until 2040. The plastic pollution crisis is exploding at an alarming rate, and we need to take urgent measures now to significantly reduce plastic production, not just increase recycling. The ACC’s commitment seems next to impossible given the out-of-control expansion of petrochemical infrastructure in the United States, with 264 facilities planned for a plastic production increase of 40% in the next decade. To date, only 9% of all plastics ever made have been recycled, the rest continues to pollute our land and water. If the ACC has any chance of achieving these goals, plastic production must rapidly decrease, not the opposite. The use of the word “recovery” in the ACC’s pledge is code for incineration of plastic. The ACC has been pushing dangerous techno-fixes like pyrolysis or “plastic-to-fuel,” an expensive and inefficient process resulting in toxic ash and fossil fuel oil that releases greenhouse gas emissions when burned. Plastic pyrolysis and other forms of incineration cannot possibly absorb the existing and expanding production of plastic, yet it is frequently held up as a way to justify the production of more and more plastic garbage. Written by Claire Arkin. Article originally appeared at https://www.asyousow.org/blog/2018/5/10/resin-industry-takes-first-tentative-step-to-deal-with-plastic-pollution. Food Packaging Forum also have a page describing this project. MUMBAI, India (May 16, 2018) — As a lead-up to World Environment Day on June 5, environmental justice groups are launching today an unprecedented coordinated waste and brand audits in key cities in India. Scheduled to happen from May 16 to May 30 in the cities of Delhi, Pune, Mumbai, Chennai, and Bengaluru along with various cities in Goa, Kerala, and 12 Himalayan States, the audits seek to highlight the role of corporations in the global plastic waste crisis, results of which will be published o 4th June. India’s Plastics Waste Management Rules 2016 emphasizes the phase-out of non-recyclable multi-layered plastics by March 2018, and requires manufacturers, producers, and users of non-recyclable packaging to either pay municipalities for the cost of managing such waste, or arrange to take it back and manage its disposal themselves. While there have been attempts by local governments to ban plastic bags and single-use plastic in various cities of India, the move has received backlash from the plastic industry. As a a result, the Plastic Waste Management Rules were amended to benefit businesses manufacturing and using plastic especially Fast Moving Consumer Goods (FMCG) companies. 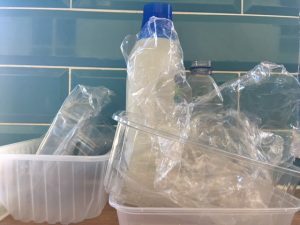 The current amendment gives plastic producers a scope to argue that their products can be put to some other use, if not recycled. This move tantamounts to revoking a complete ban, which it had implied earlier. This type of plastic was supposed to be banned by March 2018, but it is nowhere near a phase-out. According to Sherma Benosa, GAIA Asia Pacific Communications Officer, corporations have unfairly placed the blame on consumers for the waste problem when it is them who have been putting out and profiting from the problematic products. Through this concerted effort, nine organizations in India, namely CAG, Chintan, SWaCH, Stree Mukti Sanghatana,, Thanal, V-recycle, Hasiru Dala, SWMRT, Zero Waste Himalayas–all members of GAIA–and Integrated Mountain Initiative, are coming together to question the preparedness and commitment of businesses to beat plastic pollution. These organizations have been working to implement Zero Waste solutions to combat problems around poor solid waste management. The organizations, together with the Break Free From Plastic movement, are waging war against plastic pollution to demand massive reductions in single-use plastics and to push for lasting solutions to the plastic pollution crisis. //ends. The commitments are an initial response to an issue that has exploded in recent months, especially in the United Kingdom, threatening to slow projected demand for plastic packaging. In December, nearly 200 countries called for an end to plastic pollution at a UN Environment Assembly in Nairobi. In January, McDonald’s Corp. committed to As You Sow to phase out use of polystyrene foam and to recycle packaging in all stores globally, and the European Commission released a plastics policystrategy that could require all packaging in the EC marketplace to be recyclable by 2030; it is also mulling a tax on plastic production. European supermarkets are introducing plastic-free aisles. UK retailer Iceland went even further, pledging to stop using all plastic packaging by 2023. Written by Conrad Mackerron. Blog originally appeared at https://www.asyousow.org/blog/2018/5/10/resin-industry-takes-first-tentative-step-to-deal-with-plastic-pollution.